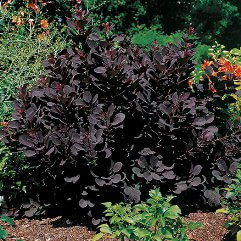 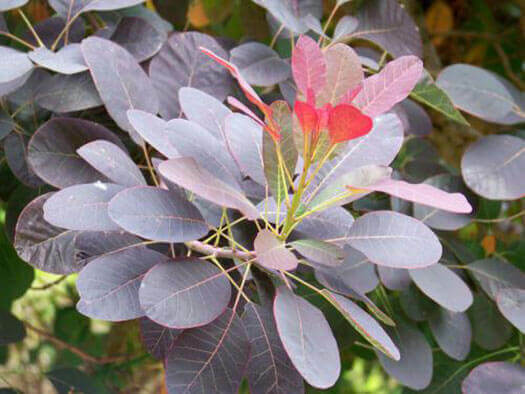 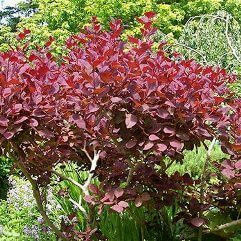 This Smokebush prefers full sun as it requires the sunlight to bring out the intense purple foliage from spring to autumn. 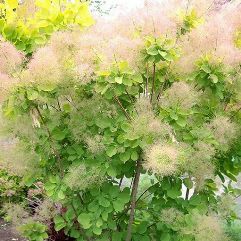 Large fluffy pinkish flower plumes appear from November till January giving the appearance of clouds of smoke. 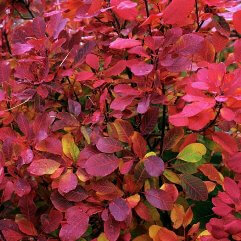 The autumn foliage turns orange/red.